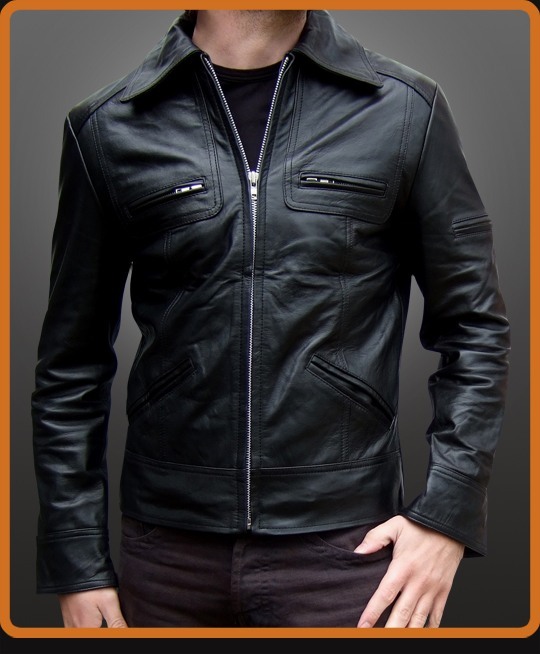 Vintage style jacket with zipper chest pockets. Detailing includes a zip on the upper left arm, popper cuffs and slit lower front pockets. A jacket very true to 70s designer style. Available in Black and Antique Brown.